In landline phones there are two modes of dialing: tone and impulsive. And these modes depend on the phone and the PBX features. Most ATS have already switched to tone mode of operation. 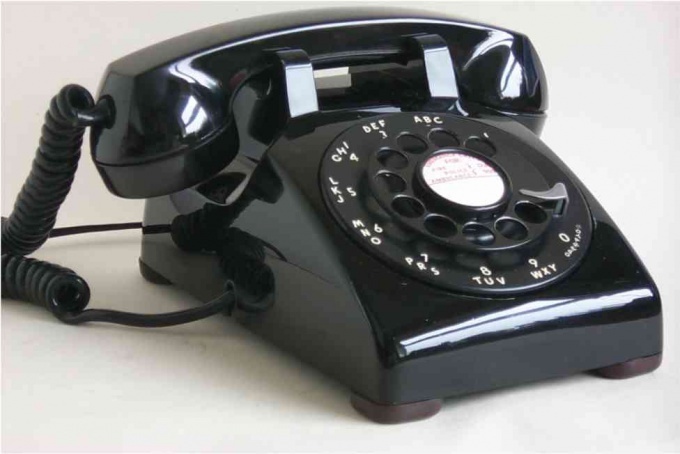 Phone the old model, ie, with the rotary dialer in pulse mode, and you will not be able to transfer to tone mode. He pulsed operation mode is a way or method of dialing a telephone number, which numbers dialed are passed to the PBX step-by-step locking and unlocking the phone line, the number of pulses will correspond to the originating number, but note that the number "zero" will be 10 pulses. The spaces between the digits will be encoded long pause. And tone mode - a method of dialing a telephone number at which you hear different pitched sounds. Each number will correspond to only one tone. This mode is used in mobile phones, and only when it will be able to quickly dial a number or during a call to enter additional number. Based on all this, you will be able to determine in which mode is your telephone: if in the tone, you hear tones of different frequencies, each digit has a corresponding sound, and if impulsive - hear the transmission of pulses the number of which is equal to the dialed digit. You can change the pulse dialing to tone. He is changed by pressing the asterisk ("*") before dialing, for example, * 8 "phone number". This button is in the bottom row. Using this method, you change the mode only one time, i.e. each time when dialling you have to press the "star" button. So that later you do not suffer with this, click on phone button the Tone (T/I), on most modern phones such button exists. If nothing happens, refer to phone's user guide. And if your phone company uses still a pulse system, you will not be able to transfer to tone mode, regardless of the sample phone.